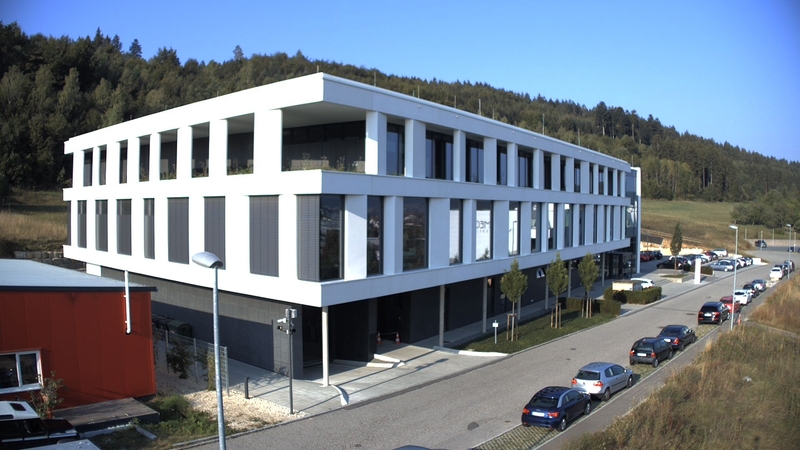 Storz & Bickel builds the first factory in the world for the manufacture of medical herbal vaporizers in Tuttlingen; a German town with almost 500 medical device manufacturers, reputed to be the center of medical technology, where the first factory for the production of surgical instruments was built more than 150 years ago. The image is regularly updated. The Mighty Medic, the first battery-powered medical herbal vaporizer is certified and put into circulation. Storz & Bickel is currently the only company worldwide to produce medical herbal vaporizers. The Crafty and Mighty vaporizers, Storz & Bickel's first battery-powered devices enter the market at the same time. They are the most powerful vaporizers of their kind and also the world's first vaporizers with vibration alarm, cooling unit with flipable mouthpiece and, in the case of the Crafty, with Bluetooth and app control using a smartphone. The Plenty vaporizer, an exceptionally powerful handheld device is launched on the market. It is the first vaporizer with a combined air and radiation heater (internationally patented). The Volcano Medic, the world's first medical herbal vaporizer is certified and put into circulation. It is distributed in Europe, Canada and Israel under the brand Vapormed. Storz & Bickel receives certification for a quality management system according to ISO 9001 and 13485 and thereby fulfils the essential requirement for manufacturing medical devices. The Volcano Digit, Storz & Bickel's first electronically controlled vaporizer enters the market. The subsidiary Storz & Bickel America, Inc is founded in Oakland CA. The first 110 Volt devices are built for the American market and create a speedy upturn. Jürgen Bickel joins as partner and Storz & Bickel GmbH & Co. KG is founded. The first Volcano vaporizer enters the market. Experts are delighted. It is the first good, full-fledged herbal vaporizer. Scientist commence studies on vaporization, the Volcano advances to become the "gold standard" and is still the preferred vaporizer for studies. The Volcano patent for the detachable balloon is registered and granted in 1999. International patent registrations follow. Start of development of herbal vaporizers by Markus Storz.